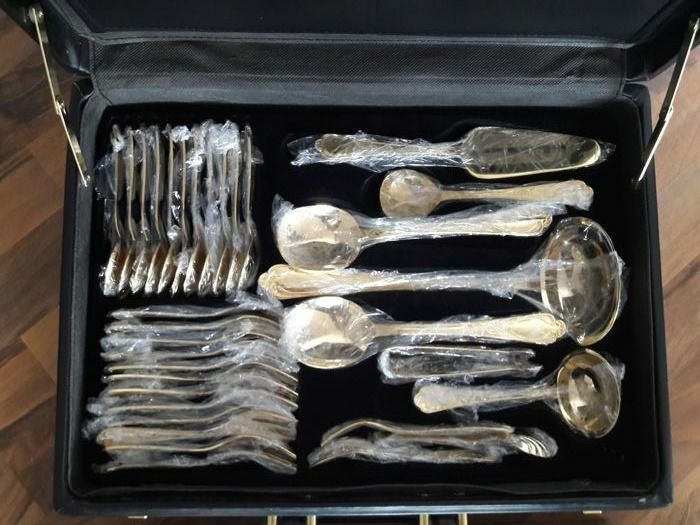 10 different serving utensils like ladle, cake server, sugar tongs, etc. 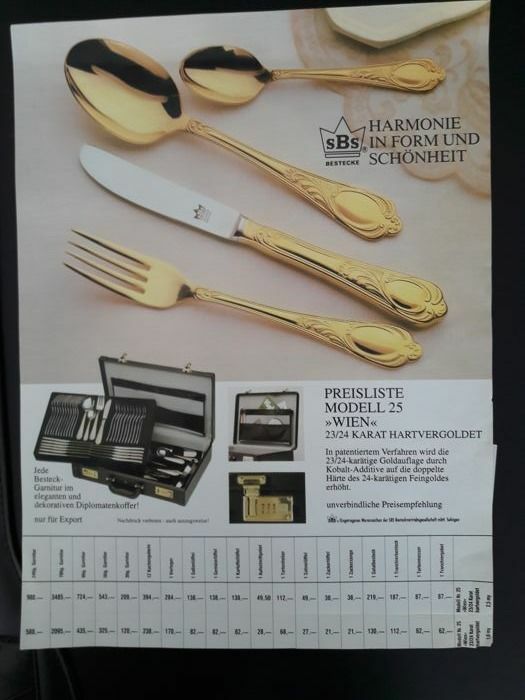 (see photo 8/9, etc.). 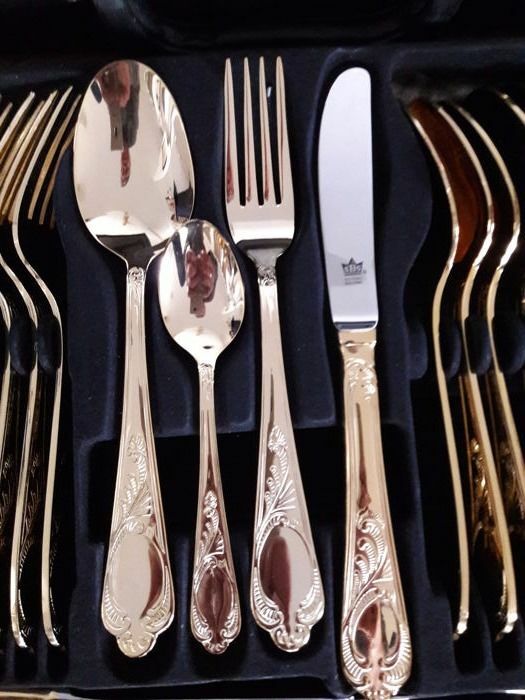 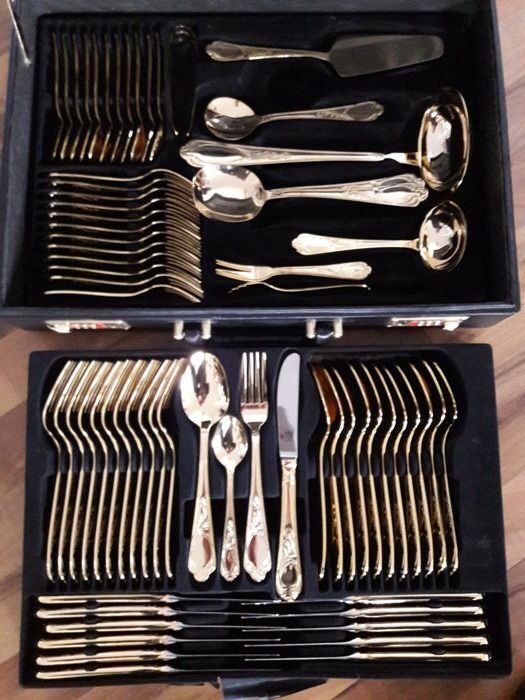 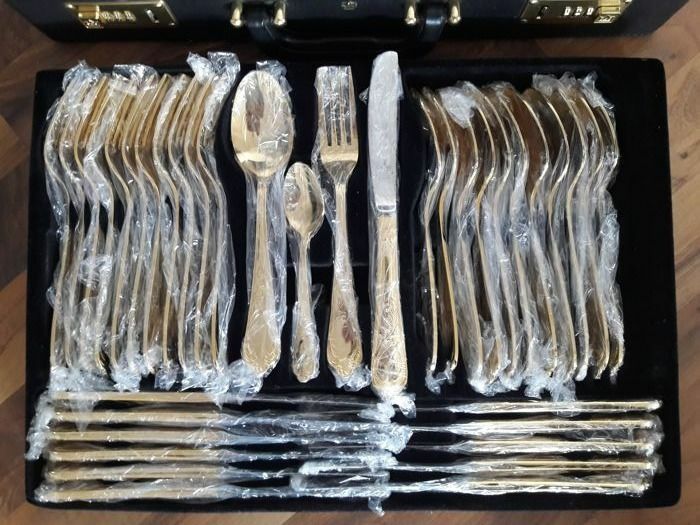 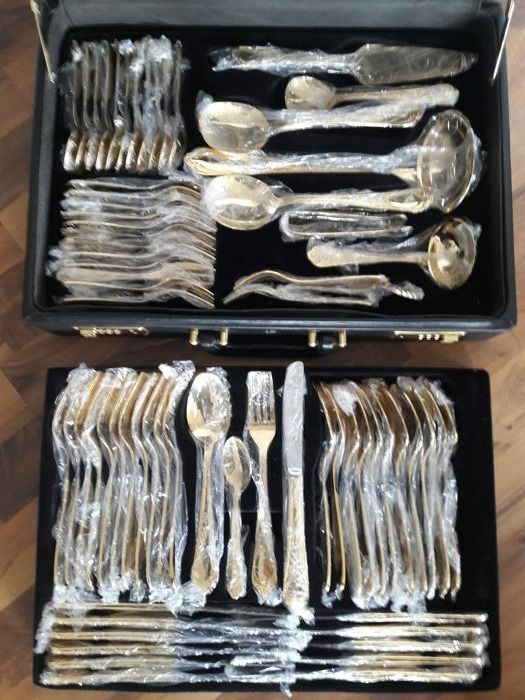 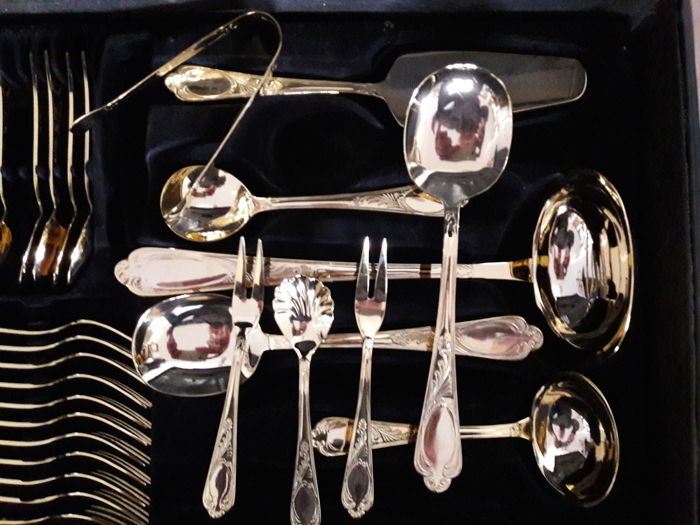 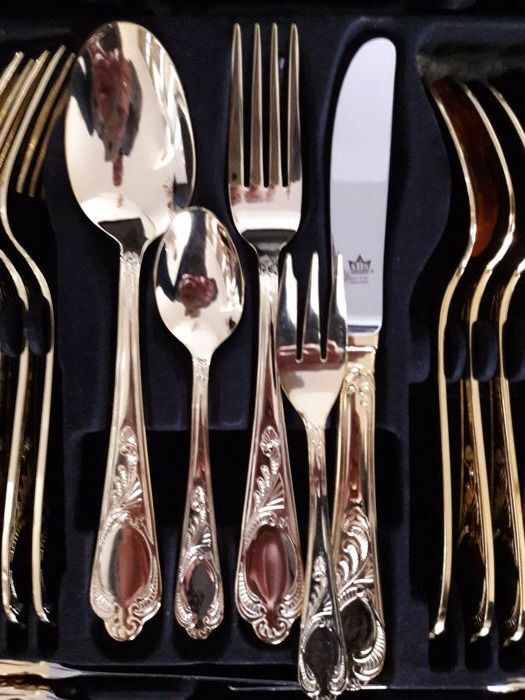 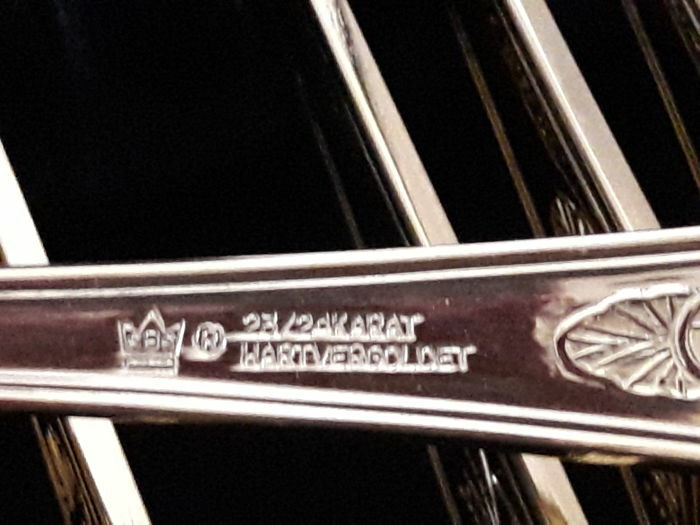 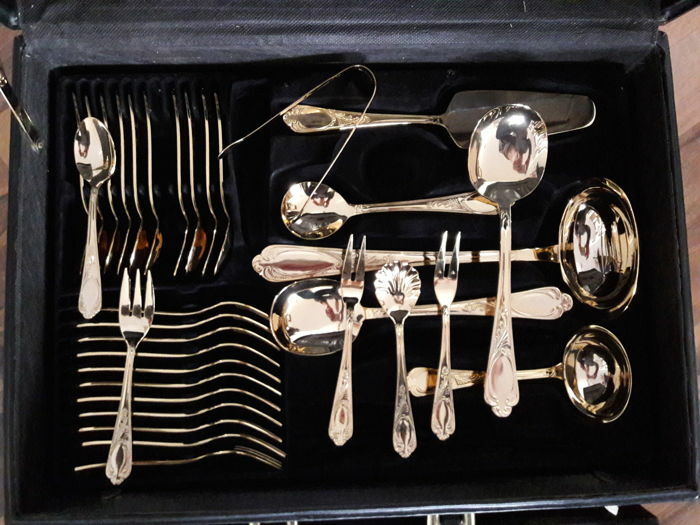 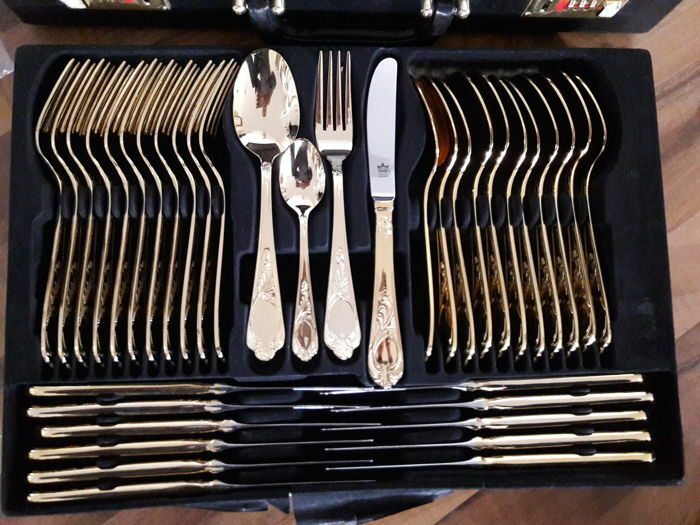 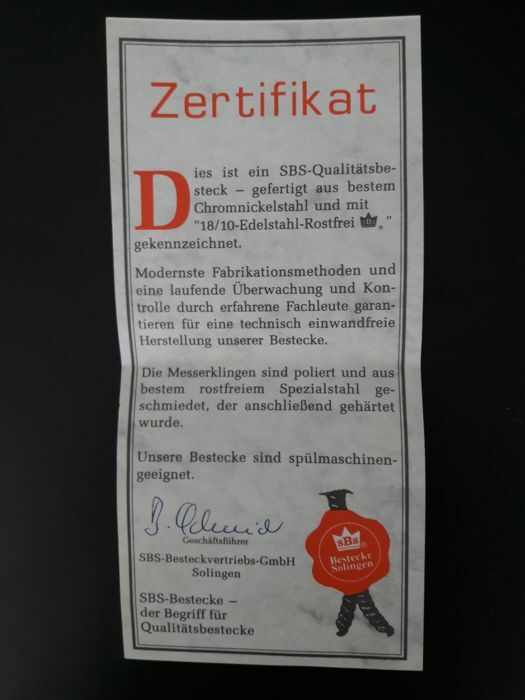 Imprinted on the cutlery set the crown of the SBS Logo and "23/24 KARAT HARTVERGOLDET". 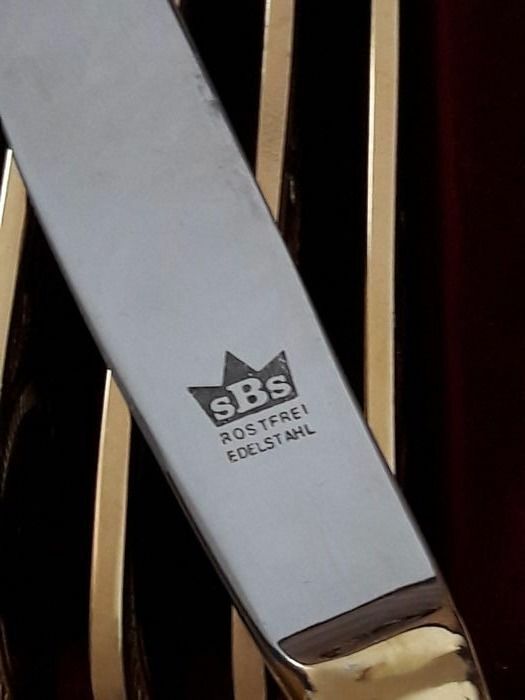 The knife blades are labelled with “SBS (within a crown) ROSTREI EDELSTAHL” (photos 10/11). 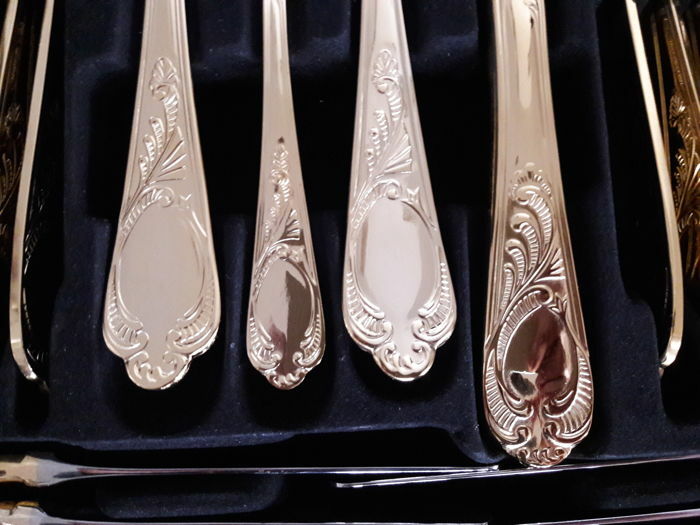 Beautifully decorated on both sides (photo 7). 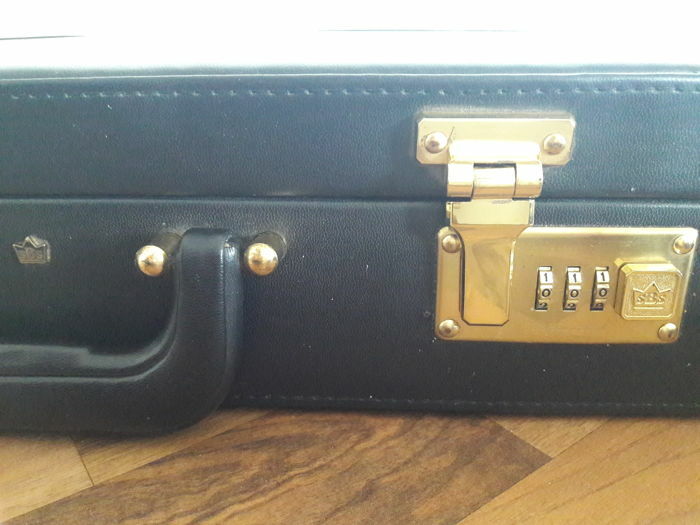 Dimensions of the case: 44.5 cm x 32 cm x 10 cm. 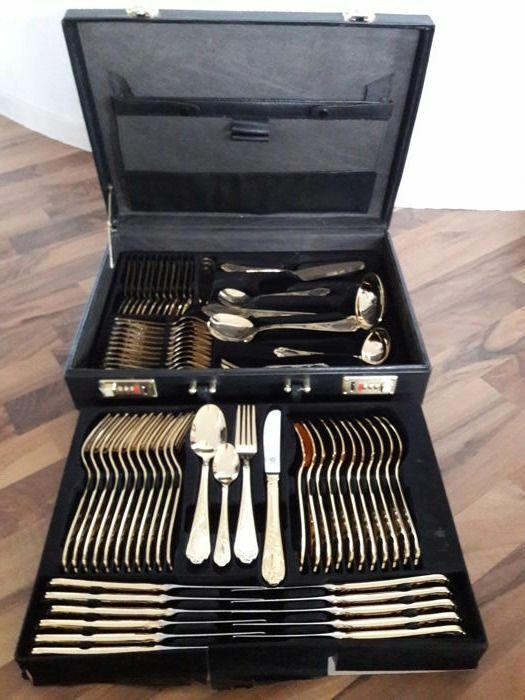 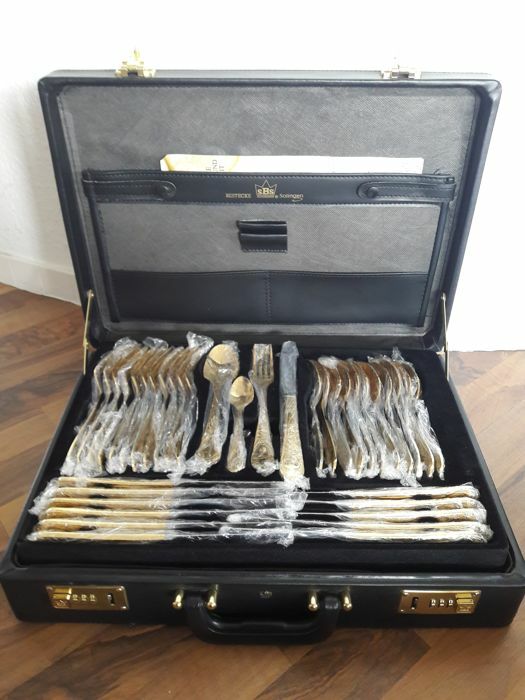 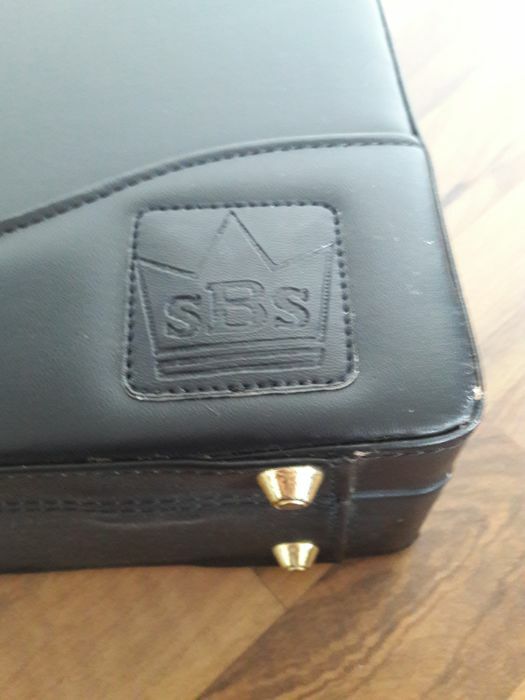 Total weight of the cutlery with case: 6.5 kg SBS logo in and on the case, see photos 20-24. 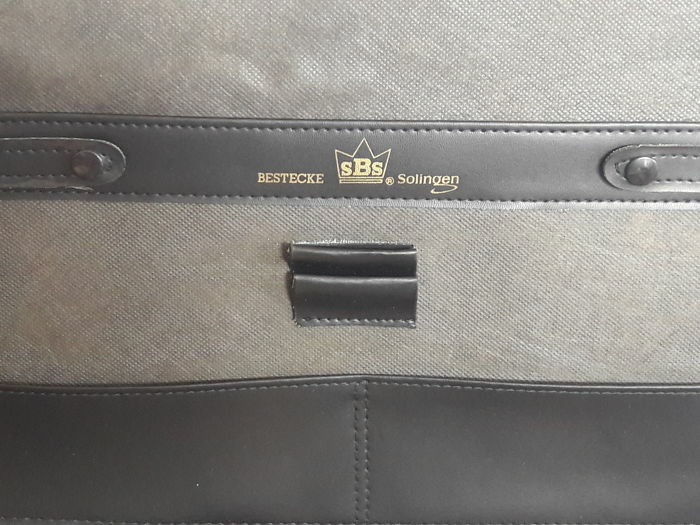 With price list, retail price 3485.00 (photos 16/17) and bilingual certificate of guarantee (photos 18/19). 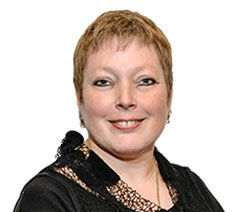 Colour in the photos may be affected by lighting conditions. 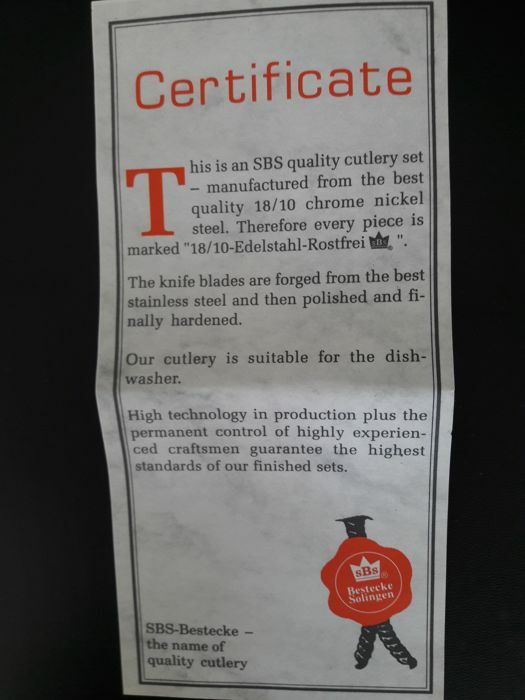 The photos are part of the description. 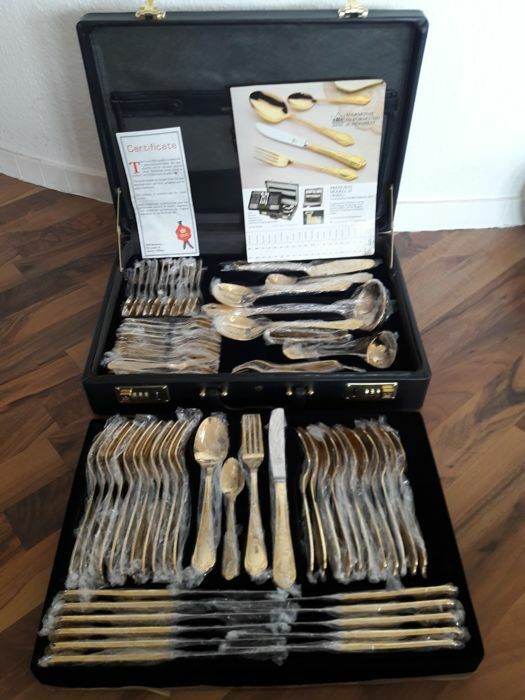 Well-packaged and insured worldwide shipping with a reputable shipping company. 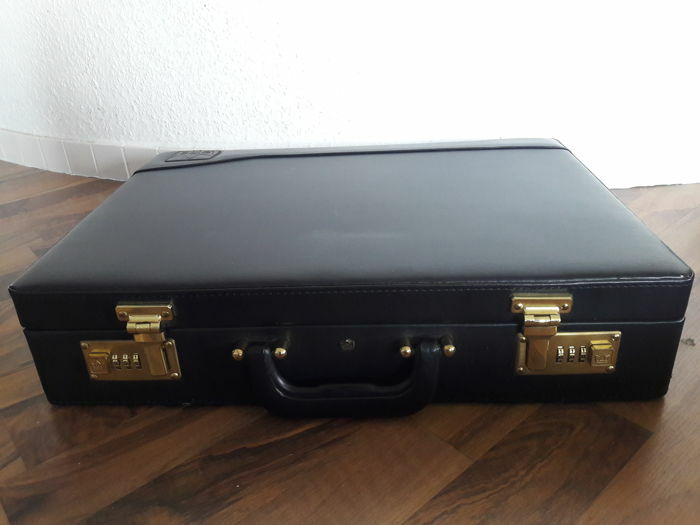 When shipping to the Canary Islands, the British Channel Islands, or the French overseas territories, the designated shipping costs will increase by €15. 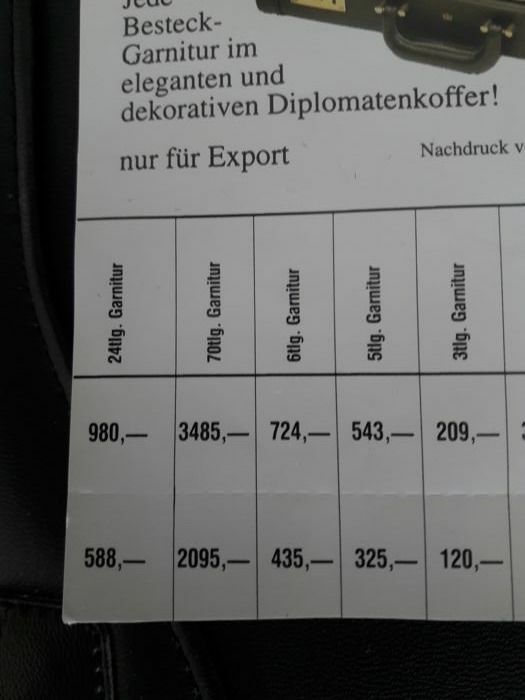 Buyer bears the risk of shipping.